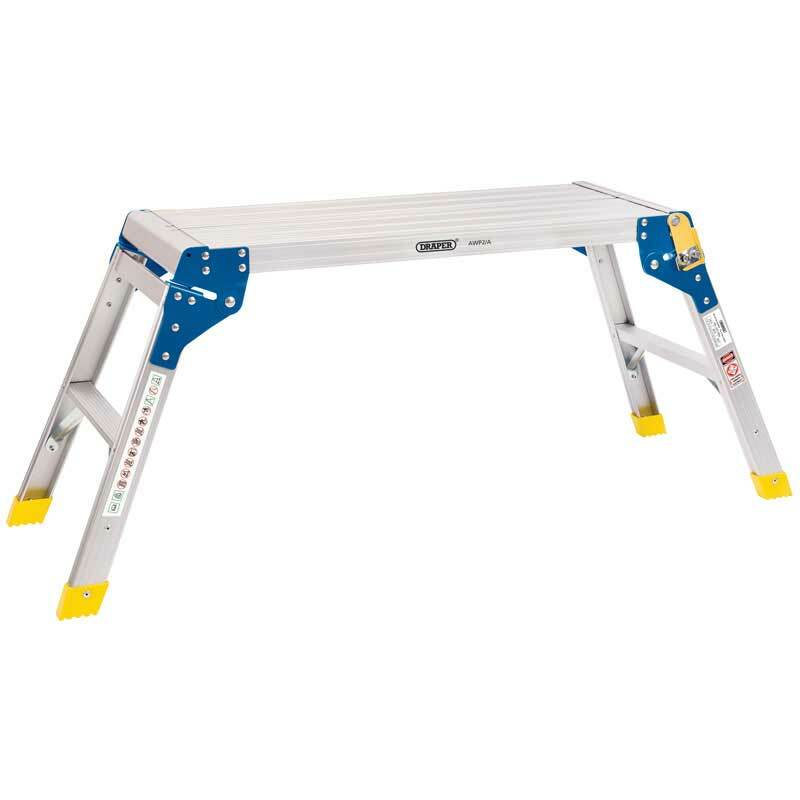 Sturdy and robust 2 step aluminium working platform, made from a fully riveted extruded aluminium construction methods, providing added strength and durability. Securely attached to a hinged and sprung locking clip for safety and security. The hinge mechanism also enables easy storage and transportation. An essential piece of equipment for a host of trade including electricians, plasters, painters etc. Please refer to the 'Work at Height Regulations 2005' for guidance on working at height.